The sun is finally out today – it was such a rainy September, I’m hoping we’ll have better weather in October to enjoy the turning of the leaves. 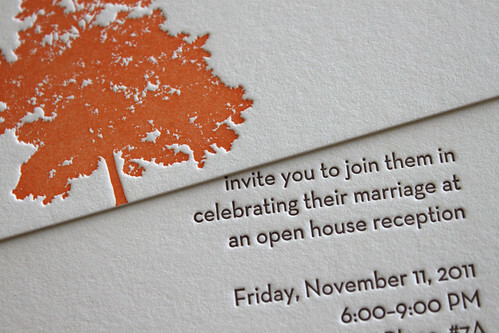 Speaking of autumn…I recently printed these wedding party invitations. The couple sent me gorgeous tree photos from a trip to Kyoto, all of them wildly colorful. 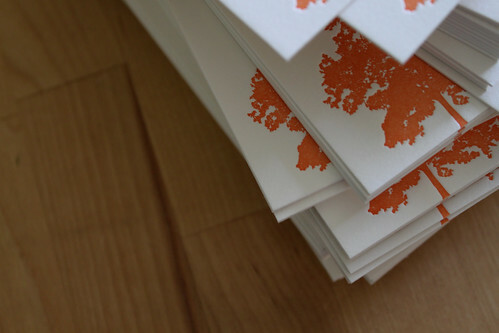 So we went with a very bright orange tree and chocolate brown text, I love the combination. 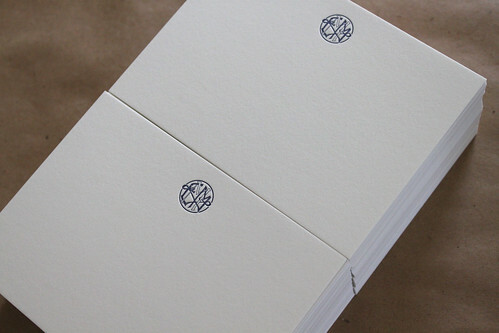 These monogram notecards really tugged at my heartstrings. 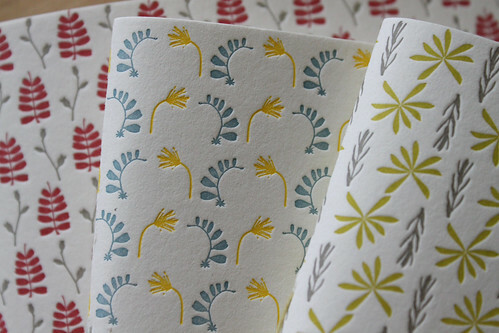 I printed wedding invitations for a really nice couple a few years back, and recently the groom contacted me again to create an anniversary gift for his lovely wife. Yesterday was a work day for me, but it was fun work. 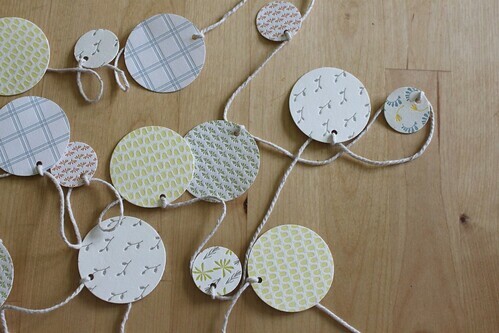 I’m starting to work on holiday items for my Etsy shop, and this year I’m offering letterpress garland. 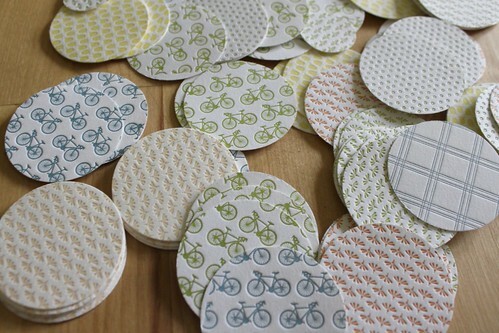 The disk sizes are 1″ and 2″, and they will come in increments of ten feet. Perfect for the tree or the mantlepiece. I’m still working on production, but will post again when they’re available for purchase. Hope you like, what do you think? You can view more photos here. 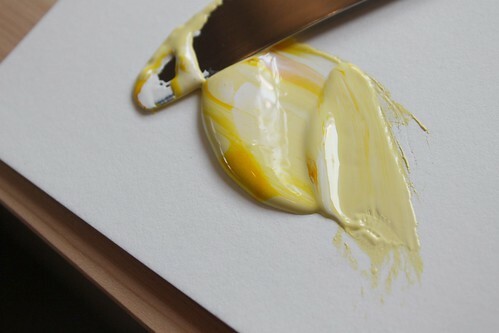 I shipped some orders off today, including notecards for this last winner of the summer contests. Oh summer, seems like just yesterday. 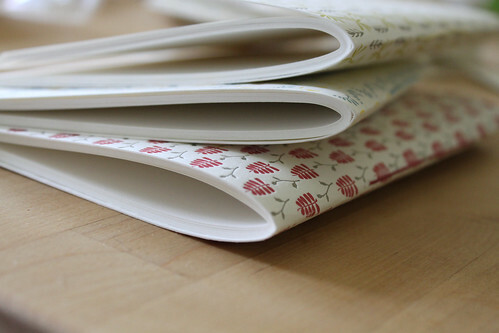 As we say goodbye to summer, Angela Liguori and I are heading into the final stages of our book project. We started planning this project back in June, and although we live in two different states (Pennsylvania and Massachusetts), we’ve been working closely together and posting our progress as we go. Here’s an album of the finished books, hope you like! 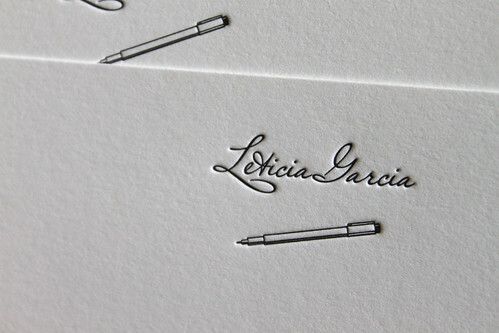 Hands down the question I get asked the most by clients is ‘how much detail can you achieve with letterpress?’. The answer is a great deal. 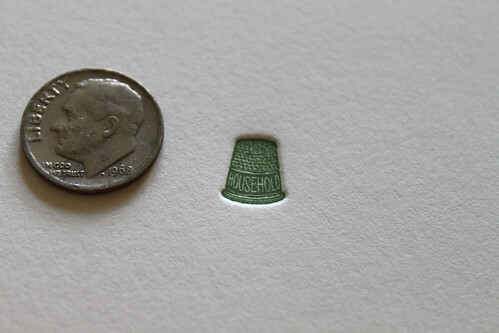 I was printing this tiny thimble on a business card today and thought it was good illustration of that point. Anyone who lives out east knows it has been a tough few weeks of rain and gloom. We had a record amount of rainfall in Pennsylvania and everything has been wet and humid. Yesterday we had a break in the clouds in late afternoon, and what came next was one of the nicest sunsets I’ve seen in weeks. 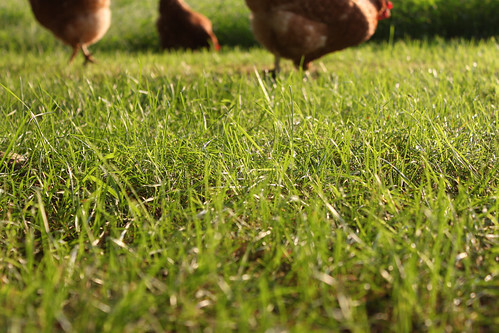 I let the chickens out of their coop to enjoy the light and graze in the grass. Then I sat and watched them for an hour, what a wonderful way to end the day.